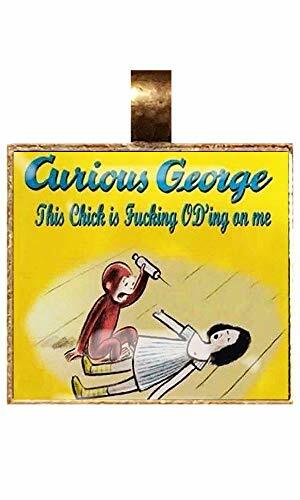 This is a Curious George Adult Subject necklace. Pendant and Chain are antiqued bronze in color. Image (public domain) is covered in glass. 100% Handmade by me. Note: These are just for comedy and people with a wicked sense of humor. That's all. 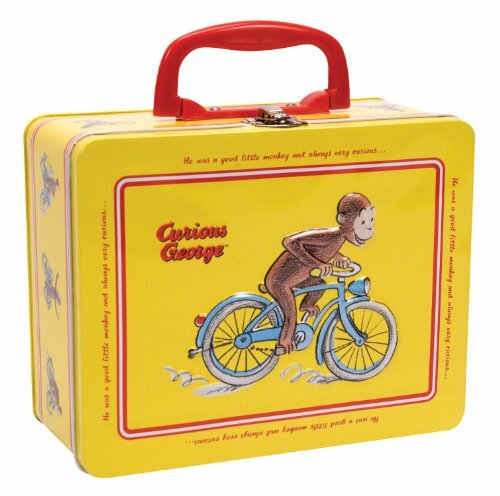 All seven Curious George classic stories in one delightful slipcased boxed set in celebration of the 75th birthday of everyone's favorite inquisitive monkey! It's George s birthday, and he is so excited! Join George in this book of poems. The tabbed pages make it easier for little fingers to grab! " 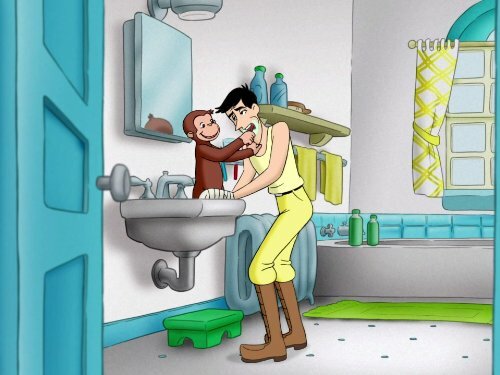 Watch the birthday boy go BANANAS when you serve his drink in our cool Curious George Plastic Cup. This 16-ounce stadium cup comes decorated with everyone's favorite cartoon monkey for a look that's sure to get kids excited. Buy enough keepsake cups for all the guests to use at your kid's Curious George birthday party. Or, turn this BPA-free cup into a special party favor by loading it up with treats and keeping it sealed in a cellophane bag. 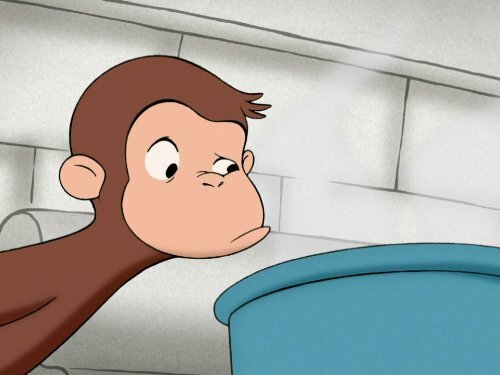 Make sure to keep up the monkey madness by shopping the rest of our Curious George party supplies. Hey — it's my birthday! 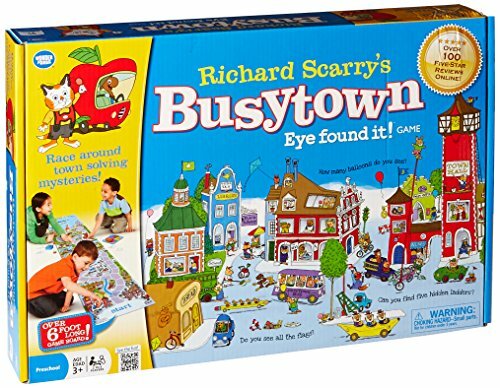 The lucky birthday girl or boy will be thrilled with a Curious George personalized t-shirt that has their name and age customized on the front. 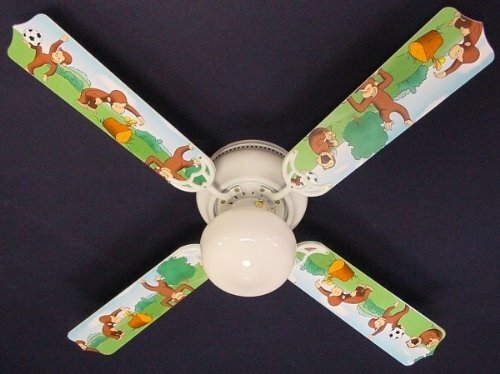 This custom kids' T-shirt features the lovable monkey Curious George and is ready for birthday fun. Swing from the trees in excitement when you realize that you hit the jackpot with this one. The Curious George Balloon Bouquet is a great option for those wanting to take their Curious George themed party to the next level. 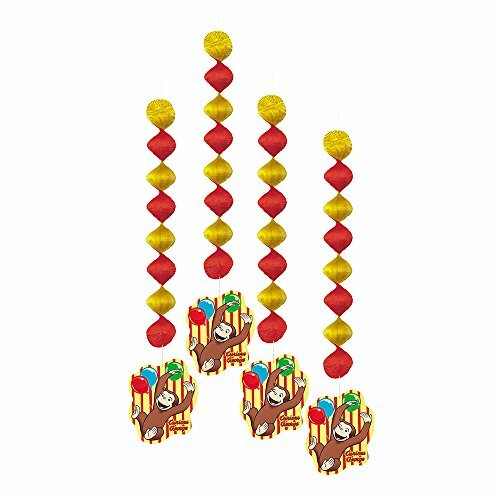 With a collection of colorful balloons that go with the Curious George yellow, red, and brown theme, your bash is sure to come alive with style. 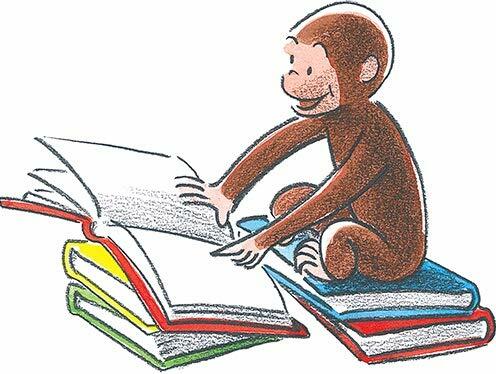 Curious George explores the world around him with wonder. He's making snow angels on this Curious George custom kids' t-shirt. The personalized tee features the monkey in his winter scarf and hat, and can be customized with a name. Logan is simply used to mommy's Glasses, loves curious George but loves mommy even more!